If you at running several of these in the same work area (shop) will the wireless foot pedals interfere with each other? Miller Dynasty 210 DX Complete With Wireless Foot Controls will not interfere with each other when used in the same area. Is this welder made in the USA? I’ve read people claiming the circuit boards are made in China? Miller advises that the circuit board and the Miller Dynasty 210 DX Complete With Wireless Foot Control 951669 are both made in the United States. I am lost. What is the difference between this set up for $5745 and the Miller Dynasty 210 DX Complete With Foot Control 951668 for $5245. The lower end one also comes with a wireless foot control so why am I paying $500 extra? Will a Trailblazer 325 EFI run this Dynasty 210 DX Complete with wireless foot control 951669? can a mvp plug adapter be purchased for this product? What is the shipping weight and dimension of the complete kit? The shipping weight of the Miller Dynasty 210 DX Complete With Wireless Foot Control 951669 is 237lbs. The carton dimensions are 44" x 20" x50"
Hello- does this setup come with a stick electrode holder? If not, what product would you recommend? The Miller Dynasty 210 DX Complete With Wireless Foot Control 951669 does not come with a stick electrode holder. We offer the Tweco Electrode Holder & Cable Assembly - No. 2, 13 ft. WS200E13 that can be used with the Dynasty 210 DX. Completed order online, communication via email was excellent, personal phone call for order details, and fast shipping. Hands down the best welder I've ever used. (Used a Dynasty 200DX at my previous job. Same welder, just a few more advanced features.) If you have an understanding of the settings and features on this machine, you will not be disappointed. The wireless foot control is awesome, absolutely no difference between the hard wired version. I couldn't tell which I was using when I switched them back and forth. Cyberweld has been great to work with. The cart came mostly assembled, but was missing a snap ring for one of the wheels. They have been extremely helpful in getting me the parts I need. Their customer service has been nothing but polite and professional. Pleased with the entire buying experience. Just bought the Dynasty 210 DX package with the wireless foot peddle. I couldn't be more happy. The ladies I worked with were helpful and super nice. They answered lots of questions and called back the next day also. The machine was shipped on a crate with cardboard and lots of shrink wrap. The torch, foot peddle, and all the extras were in boxes, inside the main cardboard shell. Well done! The machine is a upgrade for me from a machine made in China. This 210 is super sweet. My aluminum welds look so much better now. 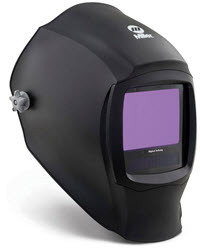 I believe if you're a good welder the Dynasty 210 will make you a lot better. ProsThe AC settings are amazing. It's quite also, the fan comes on when needed. I love the wireless peddle! The torch is small and easy to TIG with. ConsIt seems a bit high on price but, when is quality cheap? I purchased this unit from Cyberweld. They said to check for damage, my son did and little did he know that there were to be 4 cartons total when the unit was here. The accessories were missing, called Cyberweld immediately and they had Miller ship the rest to me. Great company, a pleasure to do business with. As for the 210, I have not had a chance to put it through it's paces soon. This review is in two parts. 1. First Cyberweld. 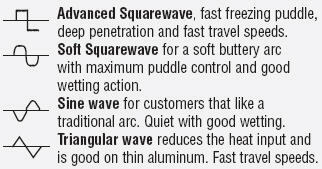 CW was top shelf all the way, I can not recommend them highly enough, Placed the order one evening, got a follow up phone call the next AM. Very professional experience, exactly as I would run the transaction if our roles were reversed. I'll be back. 2. Second, the welder. 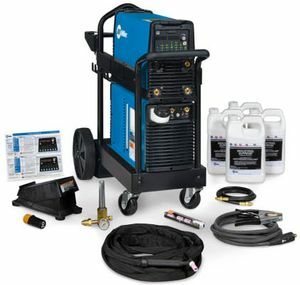 Let me start by saying I am 100% new to TIG, This welder is a high speed piece of gear that will take me years to master. Due to my unfamiliarity, I took m time and had it up and running without issue. The package did not contain the manual for the cooler, I downloaded it. I did not find the 210DX manual all that user friendly I'd suggest adding a FAST START section. I think Miller can and should do better on the manual side. As for the operation of the welder and associated hardware 5/5. ProsStandard settings are a Godsend. ConsThe manuals were incomplete, and not as good as they might have been. I hate rebates: They are nothing more than an opportunity for manufacturers to slow roll, deny, delay, hope you forget to submit, reject for some sort of error and in general not make good on their advertised price. Not CW's fault, just my $0.02. More about the seller than the product. I havent even had time to use the machine yet. So I will give a breif review about Cyberweld. Awesome customer service. After calling to confirm which welder was the exact one to order I placed the order online. Within a few minutes of the order I received a call confirming the order and they gave me instructions for receiving my order since its freight. Was impressed. Product came quickly and without a hitch. Cyberweld has probably the best customer service and prices around. 10/10 will order from again. Prosquick setup, excellent customer service, fast delivery, compact size as I have a small shop, really liking the wireless foot remote, and the economical current draw of the inverter. Great deal and awesome customer service!! This package is everything you need minus the cylinder. Received my machine today and I am extremely satisfied!! Although I've been a Cyberweld customer for quite some time i still get impressed with their level of customer service. This company makes sure that you are getting what you paid for and fast!! 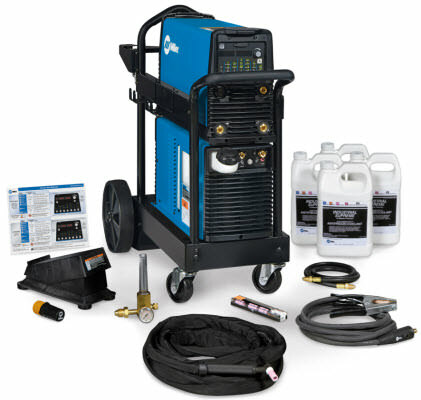 The package cyberweld offers is a great deal. 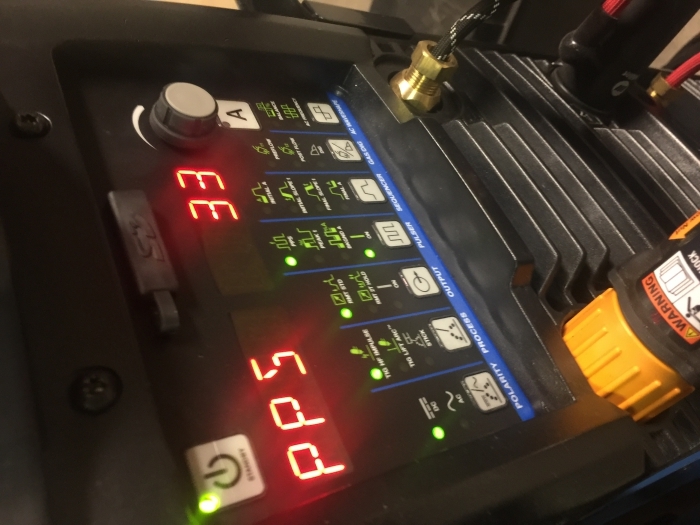 The 210dx is a smooth machine with lots of setting control and rated for industrial fabrication. I use it for everything that needs to look better than good. ProsGreat control and better arc starts than anything else I've used. ConsI was only able to afford one.